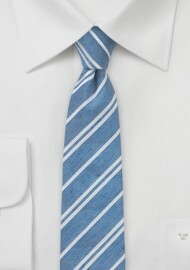 This handsome Washed Blue Necktie with Stripes is the perfect accessory for an outdoor soiree. 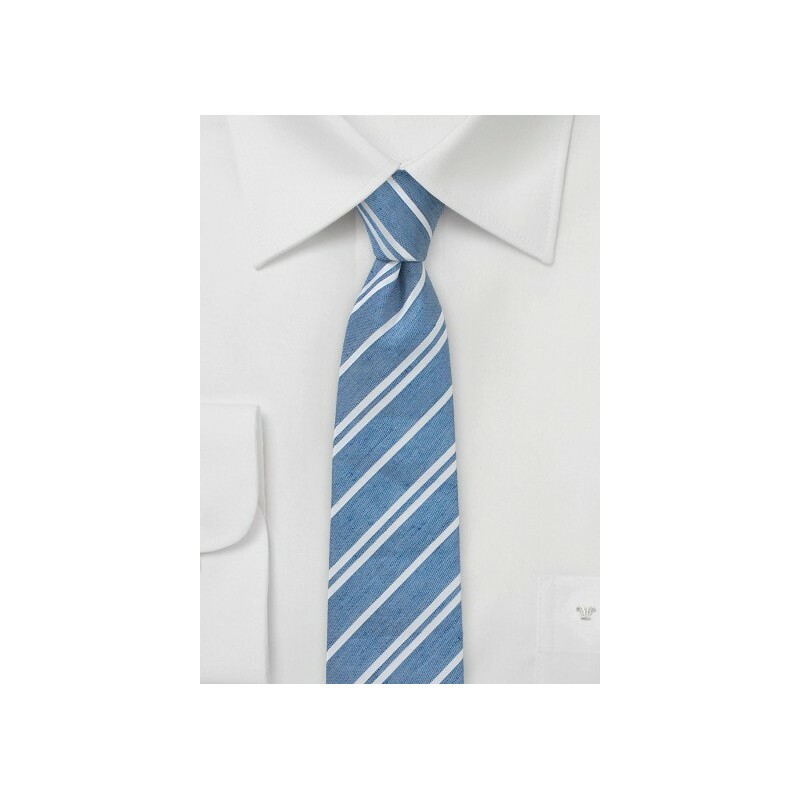 Designed by the trendy menswear aficionados at Blackbird, this piece sports a dreamy blue hue and narrow white stripes to create a piece that's just the ticket for a linen suit. This Blackbird necktie is made from linen and fine silk, and handwoven for the highest quality and elasticity. Handmade from 55% linen and 45% silk. Length: 58", Skinny Width: 2.35"